Create any object of Minecraft, with your character’s inventory. Inventory Crafting Grid 1.8 and 1.8.9 is one of those really simple and simple mods. It adds nothing more than a function, that if, after the try is possible that you can not live without it, especially if you are someone who you all day crafting objects, and you laziness to tables crafting every few minutes. This mod takes care of changing the 4 boxes crafting inventory of our character, of the 9 squares space crafting table. 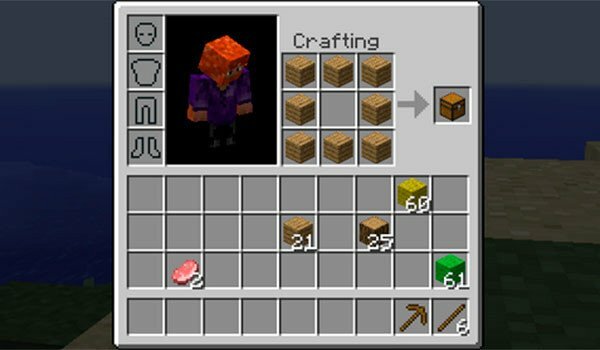 This means that you can do all the recipes from the character inventory, without having to carry a crafting table. How to install Inventory Crafting Grid Mod for Minecraft 1.8 and 1.8.9? Forget the crafting tables, use the character inventory!